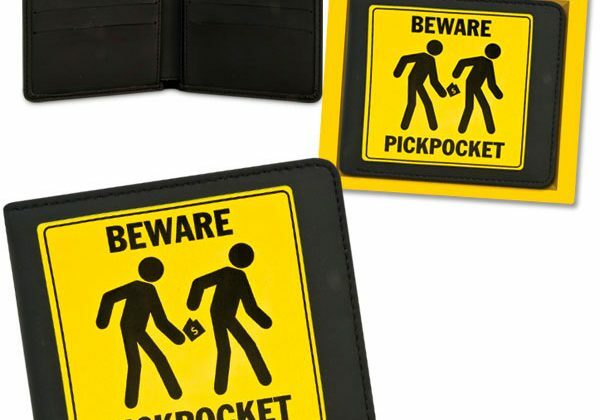 This Pickpocket Wallet reminds you to beware of those who would rob you of your valuables. Sound advice every time! Each 4-1/4″ x 3-3/4″ (10.8 cm x 9.5 cm) faux leather wallet has plenty of pockets for your cold hard cash and copious cards. Illustrated box with clear acetate lid.